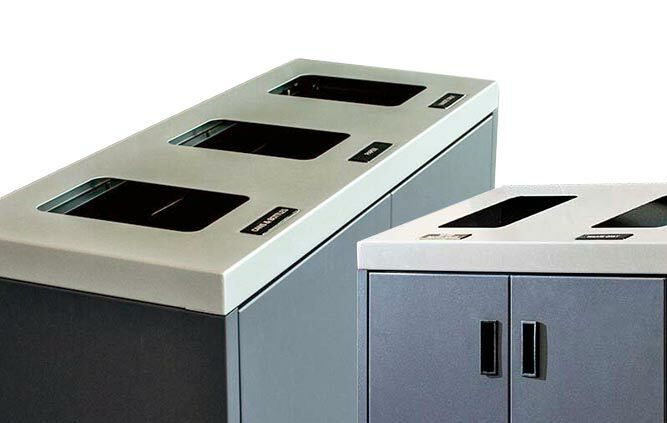 The Infinite Series of Trash and Recycling Receptacles combine high capacity with a clean cutting edge design that conceals unsightly garbage bag tie-offs. Looking to increase your diversion rates? 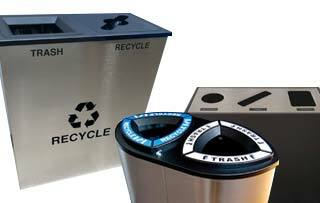 The Infinite Recycling Receptacle features a clear color-coordinated band label to ensure your business’ waste & sustainability targets are met. The Infinite’s sleek and simple finish is built to work with any interior design finishes or covered office entryways.